The homeowners of this Cedar Knolls, NJ townhouse called in our team at Monk’s Home Improvements to help update their kitchen. While we were on site for an interior painting project the homeowners inquired about a tile backsplash for their kitchen. Our team was delighted to tell the homeowners that we could easily fulfill their needs. In only two days this Cedar Knolls, NJ kitchen had a brand new tile backsplash! Installing a tile backsplash is a great simple project to spruce up the look and style of your home’s kitchen. 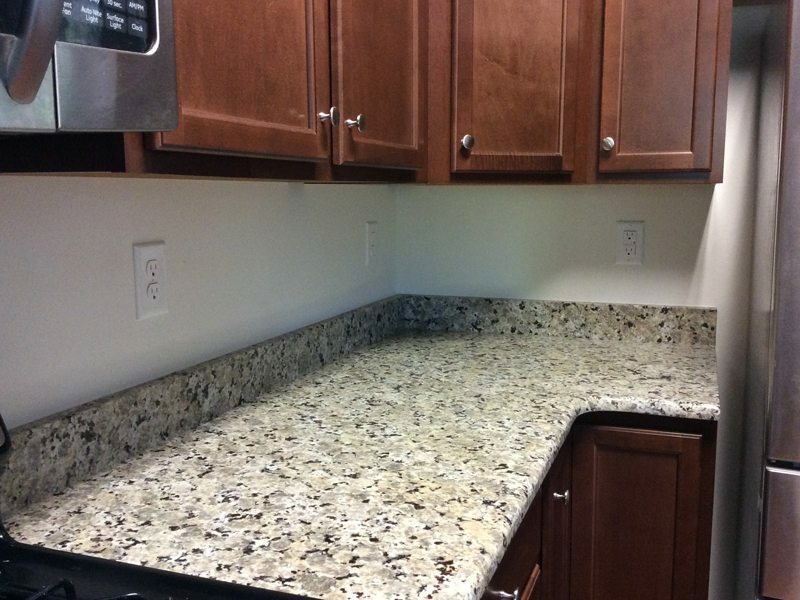 When the owners of this home decided to have a tile backsplash installed they called in our team of experts at Monk’s. Our team always works closely with the homeowners to come up with exactly the style and design they desire. The tiles, grout, and design for this particular project were hand picked by the homeowners. 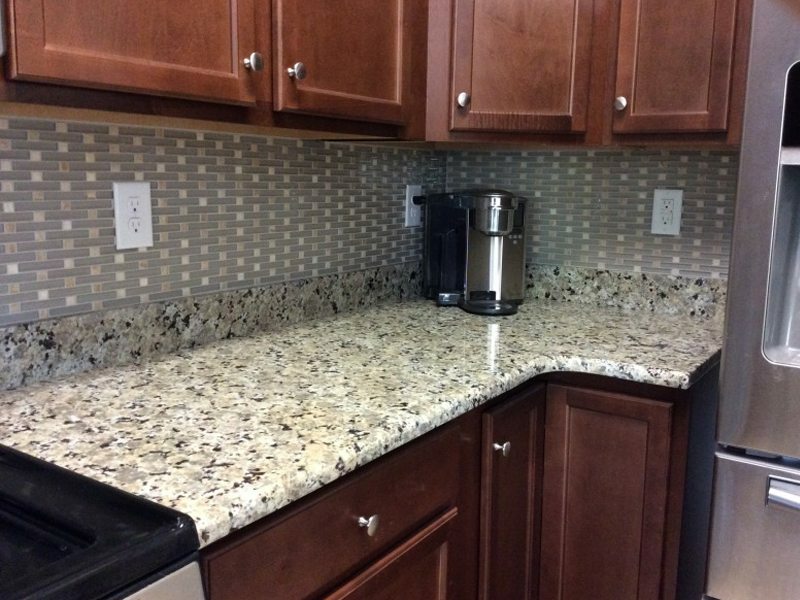 Once the design was planned the tile backsplash was carefully installed by our skilled team of tile workers. In only two days our team updated this kitchen with a great new tile backspash. If you are considering a tiling project for your home we would like the opportunity to tell you why we think we are the best tiling contractor in Cedar Knolls, NJ 07927.